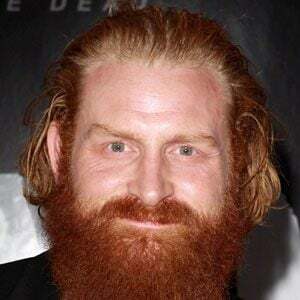 Played Tormund Giantsbane in the HBO fantasy series Game of Thrones and played Jonas in the 2011 film The Thing. He debuted as Jim Olsen in the 2001 series Fox Gronland. He played a security chief in the 2013 film After Earth. He was born in Oslo, Norway, and spent much of his professional life in Trondheim, Norway. He made an appearance in the 2013 science fiction film After Earth, which was produced by Will Smith and Jada Pinkett Smith.